- Free Shipping on Pumps! FREE SHIPPING ON ALL AQUASURGE PUMPS! 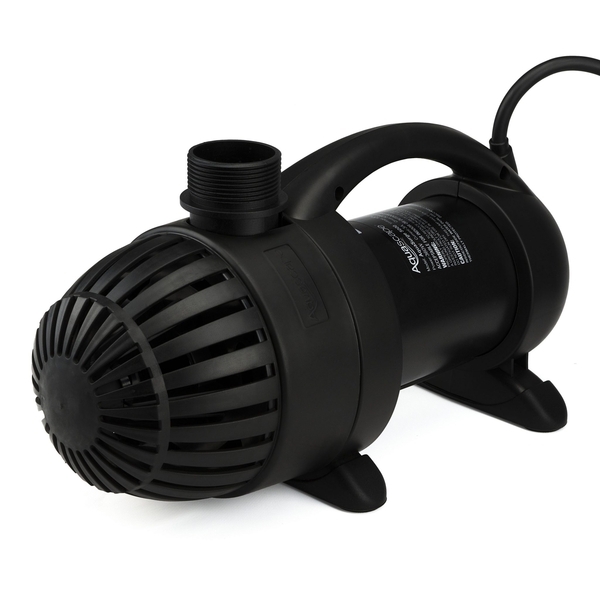 The Aquascape AquaSurge 2000,3000,4000, 5000 asynchronous pumps are ideal for use in Ponds, Pondless Waterfalls, and other water feature applications, providing high-torque, trouble free performance. 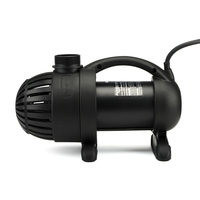 Designed for use in skimmer and waterfall-filter systems, the AquaSurge pumps are made for continuous use in either vertical or horizontal orientation. Asynchronous motor technology makes this pump extremely energy-efficient, saving you hundreds of dollars over traditional water pumps and the oil-free design prevents pond contamination. A variety of fittings is included for simple installation, including a rotational ball output which allows the discharge position to be easily adjusted. The AquaSurge 2000-5000 Pumps will not corrode or rust and the rubber feet will prevent noise and vibration while in use. 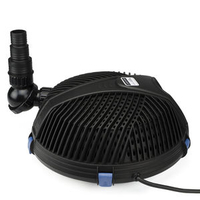 Need a new Aquascape pump? 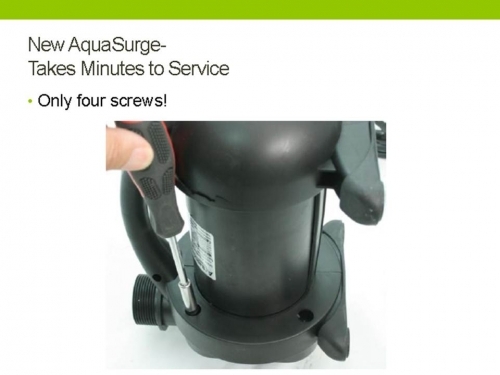 Aquasurge is the perfect replacement pump for the Aquascape Pro 3000 or Aquascape Pro 4500.
barb fitting adapters included: 3/4", 1", 1.25", 2"
You are not going to believe this but when I plug the pump in out of the water, it makes a loud screeching noise. If necessary I can call you and let you hear it. Please advise next step. 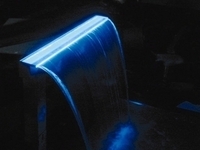 If you turn the Aquasurge on out of the water it is bare metal on bare metal. 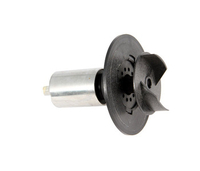 It is a floating rotor and impeller designed to be run fully submerged. It would be like running your car with no oil or coolant. Depending on how long he ran it for he could have permanently damaged it. This could Void the warranty. You should NEVER dry test the Aquasurge pump. Place it in a trash can full of water if you want to test it. Bare metal on metal = heat build up and can melt the interior of the pump. 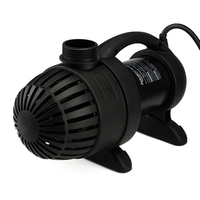 The water lubricates the spinning rotor and also cools the pump. Does cutting and splicing the cord invalidate the Warranty? PondMeister Note: For one of my Aquasurge 5000's I cut my cord and spliced it to a longer extension cord in 2008 and it is still cranking it out running 24/7 - 365! 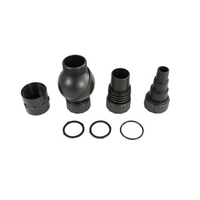 Use the AquaSurge Conversion Kit (Part#29705) to connect the 1.5" Female Threaded Outlet to either 2" or 1 1/2" Check Valve Assemblies. 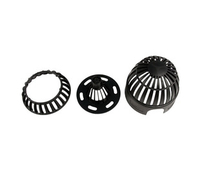 TheKit contains the parts necessary to convert any AquaScape Pro pump to the AquaSurge Pump using your existing Check Valve Assembly and Aquascape Skimmer. 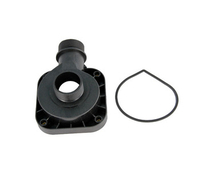 1 1/2" Male Thread x 2" Slip adapter for Classic Series Skimmers and Check Valves. Cut through the2" pipe and cut off the 2" Male adapter between the Check Valve and the pump. Screw the 1.5" x 1.5" Female Adapter that comes with the pump on to the 1.5" Male Thread Outlet on the pump. Glue the 2" Slip x 1.5" Male Thread (#99144) that comes in the Conversion Kit (#29705) on to the end of the pipe you just sawed off and screw the 1.5" Male Thread onto the 1.5" Female thread. 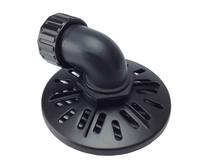 - OR - 2" Aquascape Check Valve Adapter for Signature Series Skimmers and Check Valves. 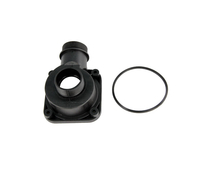 Remove the Flanged part below the Check Valve with the 2" male Thread that screws into the pump and discard. 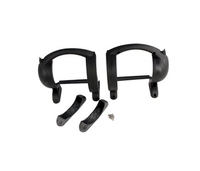 Use part #29475 which comes in the Conversion Kit #29705. Insert the Flanged end into the bottom of the Check Valve Assembly and screw the other end - 1.5" Female onto the 1.5" Male stem of the pump. I want to let you know that "us gals" (my neighbor lady and myself) were able to easily install the Aquascape 5000 pump without any issues today. I want to sincerely thank you for the awesome service, providing your knowledge, and in validating that we should be able to install it with the video you provided. I'm happy to say that my pondless water feature is back up-and-running and I owe it to you. Thank you so much....truly! Richard, your friends at Smith Turf wanted to tell you hey from NC. I followed your instructions, and just like the ‘gals’ comments on your website, it was incredibly easy to do once I had the conversion parts and watched the video. Man, you are terrific!! I appreciate you taking the time to walk me thru it and guiding to the right parts and anticipating what the problems were to avoid. Thanks again, you are a good man to know for all things pond related. We installed our pondless waterfall and Aquasurge 4000 pump EIGHT YEARS AGO here in Davidson NC. Still going strong and it runs 24/7. Definitely the best possible pump for the money and worth the investment over anything else! 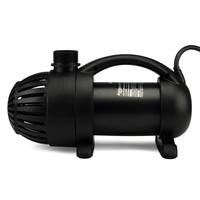 Aquasurge pump models 2000, 3000, 4000, 5000. 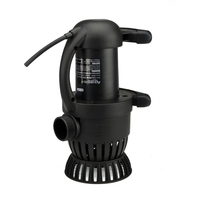 Submersible waterfall and filter pump made for use in skimmer style filter systems.